So that being said, thank you very much everyone for being so patient with us as we worked diligently on Public Beta, it’ll be in your hands before you know it. This group is geared toward advertising markets, fennux sims, dueling sims, unofficial fennux groups, unofficial fennux events, unofficial fennux contests, unofficial third-party products, etc. This group is designed to enable Fennux Sellers to offer official Fennux Products for sale, including but not limited to Fennux Dens, Live Fennux, and other transferable Fennux-made objects. This group is designed to enable Fennux Traders to offer official Fennux Products for trade, including but not limited to Fennux Dens, Live Fennux, and other transferable Fennux-made objects. Please join any/all of the groups whenever you wish, and know that advertising is NOT ALLOWED in our main group chat “The Fennux”. Public Beta shall be starting up within days after Private Beta Phase 2 Concludes, so expect this soon! Also, check the Fennux Homepage to see a new video, showcasing Dueling, Crafting, Breeding and some of the Wearable options of Fennux. If you Pre-Order a Gold or Platinum Starter Pack – you will receive 1 randomly selected Limited Edition Fennux Starter Den at launch. This doubles if you Pre-Order a Diamond Starter Pack – you will receive 2 randomly selected Limited Edition Fennux Starter Dens at launch! Limited Edition Fennux Will Not Pass Their Coat On To Offspring! This is very important that you understand that the coats will not pass to offspring.Think of Limited Edition Fennux as regular starter dens that have their textures overridden to look like an LE Coat instead of a regular looking Fennux. For example, it’s possible your LE Fennux is secretly an Amazon, adding even more wonder to the LE Dens. Limited Edition Fennux Do Have The Ability To Pass Their Eyes On To Offspring! Again, very important – the eyes on these dens are Limited Edition, and will only be available to these 3 different fennux. It is possible however to pass the eyes on to offspring of these LE Fennux. Limited Edition Fennux Have A Chance At Having Tier 1 Ears, Tails and Hairs! This means the actual coat will have a chance at having a trait. The odds are slim, but the odds do exist! This also means the LE Fennux can pass on the Tier 1 traits to offspring. Again, only the trait can pass – not the LE coats. These coats will be permanently retired after Pre-Orders end. Here’s a hint, Pre-Orders will be ending VERY SOON. We are prepping to move into Public Beta instead of doing a “Phase 3 Private Beta”, which means we are moving faster than we had expected due to all of the support from our private beta testers. Team Fennux wants to say a huge THANK YOU to all of our beta testers, you folks rock. Hopefully we can figure out a way to reward you after launch and all of the dust settles. Team Fennux is sponsoring the “Cinema” event on Second Life. Tons of SL’s top creators are participating! If you would like to know more, your best bet is to either show up or look around Flickr and/or Plurk to see all of the commotion. If you make it to the event (it’s almost always packed full of residents, so keep that in mind), you will find that by wearing “The Fennux” group tag and clicking a sign that you will receive a Fennux 3D Polar Grabber! This is a limited time free offer to any and all group members. Before you go, please make sure to remove all laggy items. Scripted hair, shoes, animation over-riders, etc. need to stay home, otherwise you will not be able to pass through the anti-lag gateways, and of course you’ll just be laggy and obnoxious to other residents trying to shop. So that’s that – make sure to get on over to the Cinema event sometime, it last for a while so if you can’t get in right away – don’t fret – just wait a day or two or three and you will eventually get your FREE Fennux 3D Polar Grabber. It is October 10th and Private Beta Phase 2 is being rolled out to the Fennux Community! 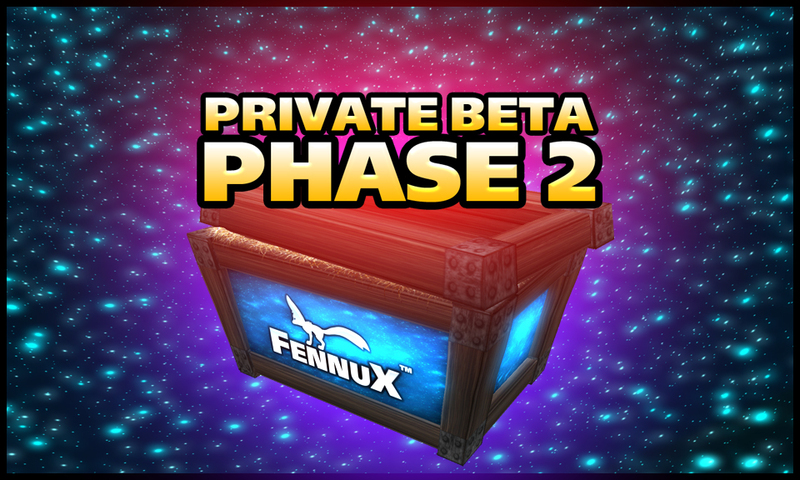 Please read carefully so you can learn how to get your Private Beta Phase 2 – Fennux Crate. Step 1.) Go to Past Group Notices for “The Fennux” group. Step 2.) Find the notice that states “Fennux Private Beta – Phase 2″. Step 3.) Click the “Save Attachment” button for the object that was attached. Step 4.) Rez the object on your land. Step 5.) Click the object – this will start the timer countdown and create your “My Fennux” account. Step 6.) Wait patiently for the timer to reach zero. After these 6 easy steps, your Fennux Private Beta Phase 2 Crate will be queued for delivery. Once you get the request, ACCEPT IT (do not discard it), then rez the crate on your land. If you need help with your crate watch this video to learn exactly how to unpack your crate. DO NOT RIGHT-CLICK AND OPEN YOUR CRATE, DO NOT COPY IT TO INVENTORY. You must rez the crate, click the crate, and press “Open Lid”, following all of the menu prompts. Thank you for reading, if you have any issue in Private Beta – make sure to use our Ticket System. When you rez out your delivery queue object it will automatically create your Fennux Account on the website (currently only used for our ticket system). Simply copy the password it generates for you and login to the website with it. Make sure to save your password until we add the ability to “change password” on the site. 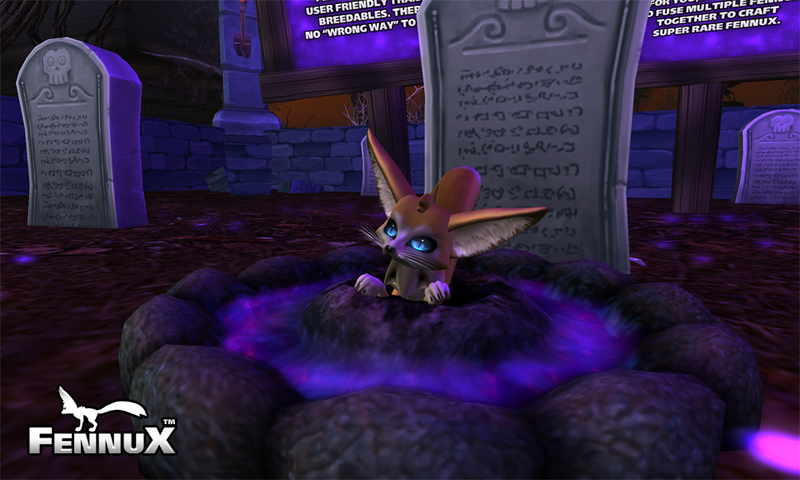 Team Fennux is one of the 6 main sponsors at the Breedables Fright Night Expo! Whenever you can try to Teleport in and check out the Fennux Display at the expo. We are giving away a Halloween Edition Fennux Grabber if you manage to click the Jack-o-Lantern and it states “Treat” vs. “Trick”. If the message pops up as “Trick” after clicking, you’ll merely get a shadowy trick grabber, but check back in after 2 hours to try again! The sim is getting really busy over there, so expect it to take a while to get in. This event lasts from the 9th until the 14th so you’ll have plenty of time to get your Halloween Grabbers. We have had an amazing turn out in Private Beta Phase 1. We got tons of feedback, and managed to patch bugs and implement requested features for Private Beta Phase 2 which will be happening shortly. It is now the official ending of Beta Phase 1. We are pushing the command to delete most of the beta items (Fennux, homes, dens, food, recipes, etc). If anything is not auto deleted after 20 minutes or so, feel free to delete it manually – we don’t want any phase1 stuff interfering with phase2. We have decided to also delete recipes so we can properly gauge the usage of Private Beta, else our analysis of Private Beta will be skewed when everyone decides to craft all of their Fennux within minutes of receiving their new crates. EXPECT BETA PHASE 2 CRATES TO BE SENT OUT TO YOU IN ABOUT 24 HOURS. We will be sending out a prim via Group Notice, rez it on your land as soon as you receive it, and follow the hovertext instructions so you can click and receive the newest beta crate for Phase 2. This way we won’t crash any of our sponsor sims, or our main sim again. Thanks for reading, stay tuned… again we will be sending out new crates in about 24 hours from this post. If you have any additional questions, feel free to ask our amazing community members in our “The Fennux” Group Chat in-world on Second Life. If anyone has still not received their Private Beta pack, send Daemon Blackflag an IM. Please do not IM Daemon for any bug issue, or suggestions, etc – please wait for our Support Ticket System to be live to submit these problems. You can ask questions in the group chat (The Fennux) and will easily get an answer from our amazingly helpful community! Thanks to everyone for helping find bugs, give suggestions, etc!